The Clipper Race has renewed its partnership with TIMEZERO by MaxSea, returning for a third consecutive edition as the Official Navigation Software Supplier. The eleven strong fleet of 70 ft ocean racing yachts will be equipped with TZ Professional for the 40,000 nm circumnavigation. TZ Professional is renowned for its famous routing algorithm, Weather Routing Module, and cutting edge Position Report tool which will enable Clipper Race teams to seek out the fastest route, plan their race strategies and keep track of the competition. Used to its full advantage, it can give teams an edge and the potential of podium finishes. 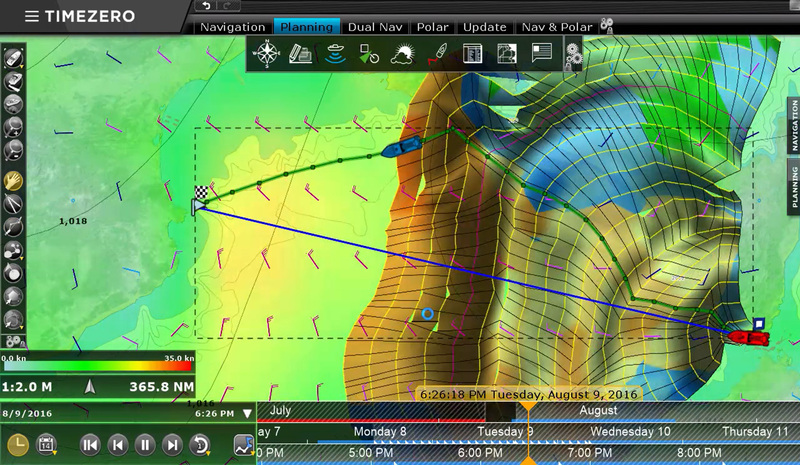 In addition, the Clipper Race fleet will be one of the first to benefit from the release of the new TIMEZERO software: Version 4. This update will include new exclusive tools, weather display and forecasts. With more than 30 years of innovation and development in marine navigation technology under its belt, the software offers a wide range of possibilities for professional racers and recreational sailors. The TZ Professional product provided to the Clipper Race Office and its Skippers has specific features to maximise team performance. This is especially so for the weather routing module and polars (wind, speed and sails), in order to optimise their route and performance. MaxSea will receive technical feedback and optimisation suggestions throughout the race, which TIMEZERO by MaxSea engineers, developers and technicians will utilise to improve the software. For your marine navigation software solutions visit mytimezero.com.